The International Astronomical Union (IAU) Symposium Series is the scientific flagship of the IAU. 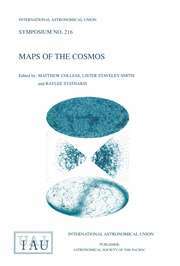 The volumes in this series comprise the Symposia archive of the IAU. Subjects covered include fundamental astronomy; the sun and heliiosphere; planetary systems; stars and variable stars; interstellar matter; the galactic system; galaxies and the Universe; optical and infrared techniques; radio astronomy; and space and high-energy astrophysics.